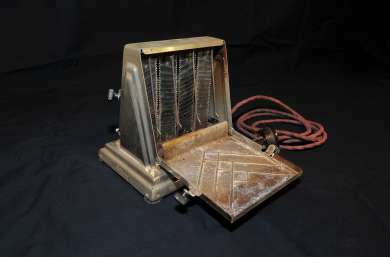 This Hotpoint brand electric toaster, now kept in the Pantry at Chifley Home, was used by Ben Chifley in his parliamentary office in Canberra. 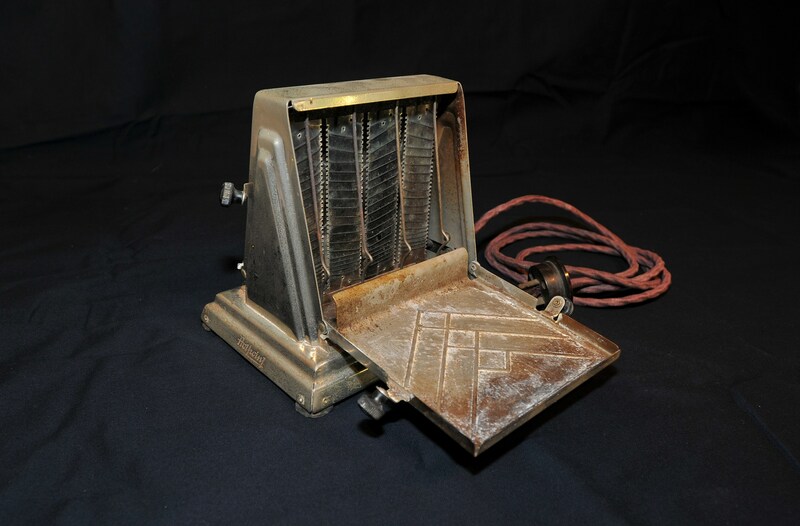 It is typical of toasters of 1940s Australia. Care was needed to ensure the bread was not burnt to a charred crisp. Ben was known for his office snacks of tea and toast, often taken in place of a proper lunch in the Members’ Dining Room or a dinner back at the Hotel Kurrajong. Ben opted to stay at the Kurrajong even when he was Prime Minister and entitled to live in The Lodge. He invariably spent his lengthy working day at Parliament House, sustained with his cups of tea and slices of toast. The toaster came to Chifley Home, decades after Ben’s death, as a donation from Lawrence Daly. Lawrence’s father was Fred Daly (1912-1995), who was first elected to Parliament in 1943. Ben Chifley took an interest in young Fred and did much to encourage him in his political career. They became good friends and a genuine affection grew between them. When Ben Chifley died suddenly on 13 June 1951, Fred felt very much the loss of his friend. Visiting Ben’s office, now empty of the presence of the man he greatly admired, Fred felt the need to have something Ben had used to remember him by. The toaster, with its memories of Ben with his tea and toast, became his memento of Ben Chifley. Chifley Home has many objects associated with Ben and Elizabeth Chifley donated by people who somehow acquired them in past times. Some were originally gifts from Ben or Elizabeth Chifley, while others may have been rescued from “Trash and Treasure” stalls. All have their own special stories.